We have 20 years of experience in the field of Chitfund Software. Our Chit Care Software which is mainly known to be as one of the best online chit fund software and its services been used by 2000+ chit fund companies in India. A quote of a wise man goes as "The only constant thing in our world is change", which couldn’t be more true than in the case of computer industry to withstand technology obsolescence ever since it evolved. Bearing this in mind, we at Kireeti soft constantly review our performance, honing up the skills while updating the software packages and services allied to our activities, thus bridging the gap between human intelligence and modern techniques. A firm believer in never resting on laurels, we at Kireeti soft provide complete ongoing service support to our clients as a regular part of the company’s commitment to our customers. What’s more to their advantage, our clients have been pleasantly rewarded with our experience while dealing with the Company. 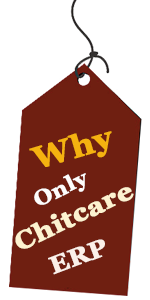 Chit Care is well known to be as best online chit fund software among all of the other products. Kireeti soft’s custom-designed software as well as Vertical Applications have proved to be a boon to them, as each package caters for their specific individual needs when required. Kireeti soft has pioneered a new trend in the Indian software industry by providing comprehensive, qualitative solutions for our customers. Our commitment to provide the best, our expertise, and our acumen ensure our progress every moment, and made us capable of thinking and delivering more than the obvious. We are working closely with Chit Fund Association for Chit Fund Research. Started in 1995 as a firm with a view to reduce the gap between business people and computers by providing quality software & services, Kireeti soft has come a long way to achieve landmark in the field of excellence. With the strong belief that necessity is the mother of all inventions, Kireeti soft associated closely with people of different trades to understand their necessities and invented application based software to suit their needs. Completed major expansion in 2000 by incorporating Limited company "Kireeti Software & Services Ltd" and the firm also merged with the new company.